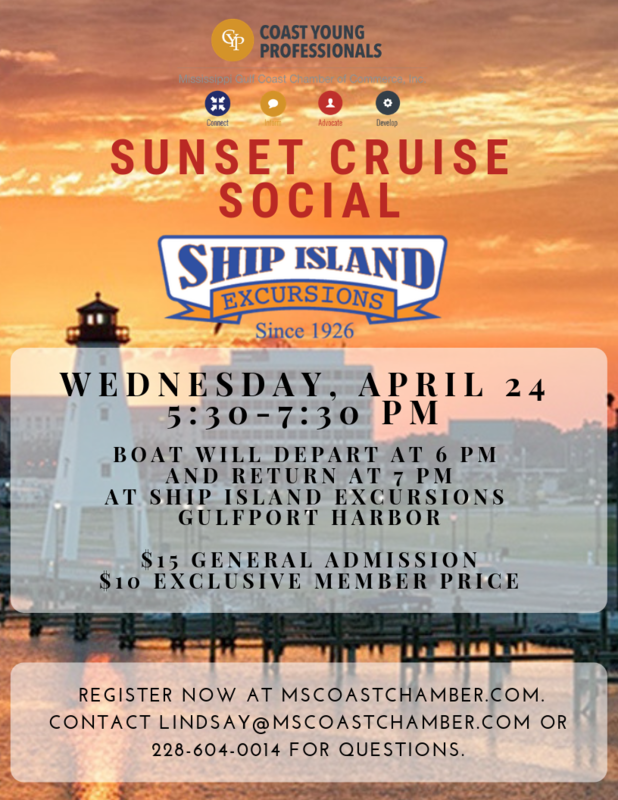 Join us for our Coast Young Professionals Sunset Cruise Social with Ship Island Excursions on Wednesday, April 24, from 5:30-7:30 PM! We will meet at the Ship Island Excursions Gulfport Dock near Jones Park. Snacks & beverages will be available for purchase.